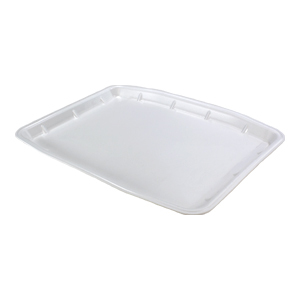 We have the widest selection of shapes and colors available to fit your customized needs. 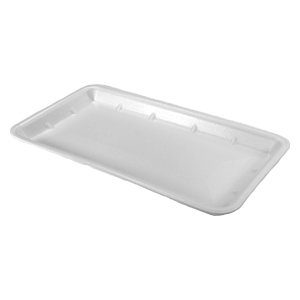 Ideal for displaying meats, fruits or vegetables, our supermarket food trays keep items fresh, while arranging them in a presentable and appealing way. 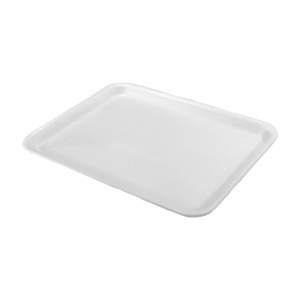 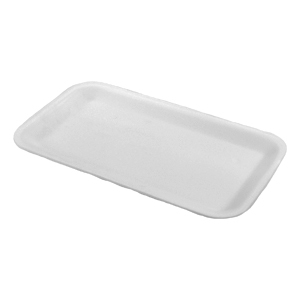 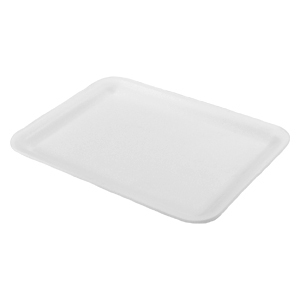 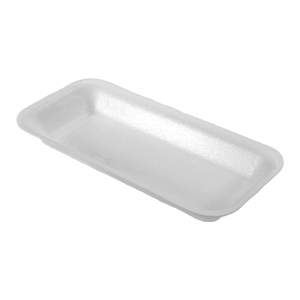 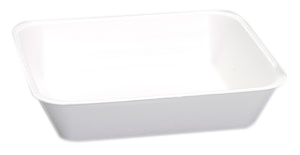 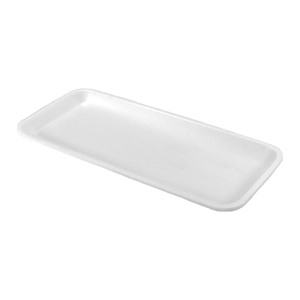 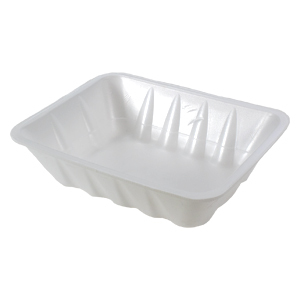 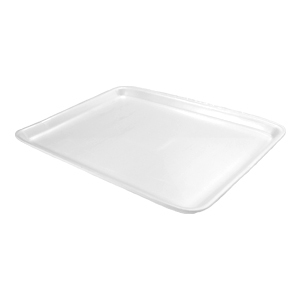 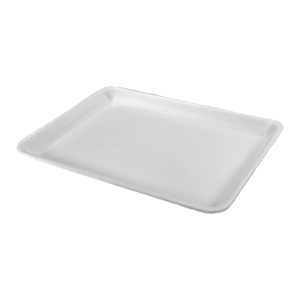 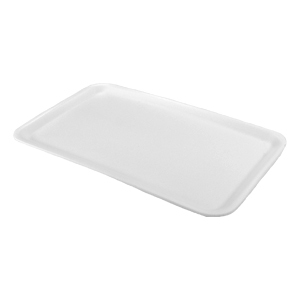 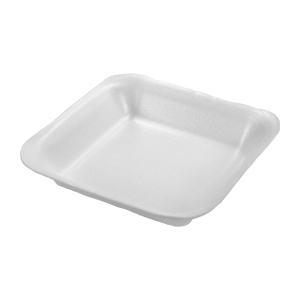 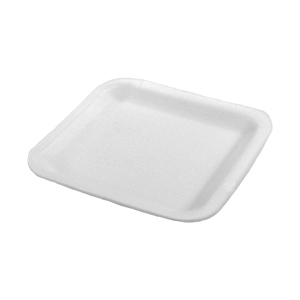 Made out of durable and sturdy foam material, our foodservice trays provide superior results with automated equipment. 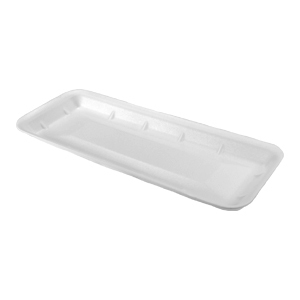 Length: 21.250" Width: 10.438" Height: 26.000"
Length: 10.500" Width: 10.500" Height: 27.000"
Length: 21.500" Width: 10.500" Height: 22.000"
Length: 16.625" Width: 11.375" Height: 29.000"
Length: 16.500" Width: 11.500" Height: 26.000"
Length: 18.500" Width: 14.500" Height: 25.000"
Length: 18.500" Width: 14.500" Height: 32.000"
Length: 20.500" Width: 10.500" Height: 32.000"
Length: 14.500" Width: 11.500" Height: 29.500"
Length: 21.000" Width: 16.500" Height: 26.000"
Length: 18.500" Width: 12.500" Height: 31.000"
Length: 21.750" Width: 11.500" Height: 27.000"
Length: 21.625" Width: 11.750" Height: 28.000"
Length: 18.500" Width: 11.750" Height: 26.000"
Length: 21.750" Width: 9.250" Height: 29.000"
Length: 16.625" Width: 8.500" Height: 27.000"
Length: 14.688" Width: 12.438" Height: 25.000"
Length: 9.500" Width: 16.500" Height: 22.000"
Length: 17.000" Width: 13.000" Height: 26.000"
Length: 11.875" Width: 8.875" Height: 42.000"
Length: 12.250" Width: 20.500" Height: 22.000"
Length: 16.000" Width: 15.625" Height: 35.000"
Length: 17.000" Width: 13.000" Height: 27.000"
Length: 13.875" Width: 10.000" Height: 26.000"
Length: 15.500" Width: 12.000" Height: 26.000"
Length: 14.250" Width: 18.165" Height: 29.000"